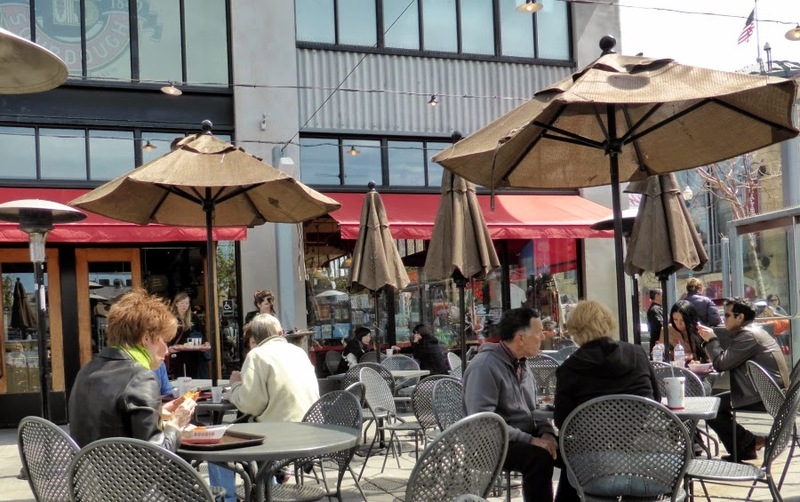 Our most favourite thing to do in San Francisco is eat. And each time we visit we try to chose one special food place to go to. 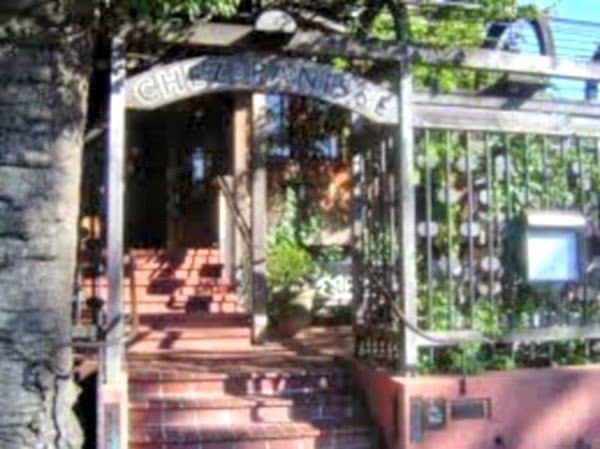 One year, when we owned a fine dining restaurant, we went to Chez Panisse in Berkley. 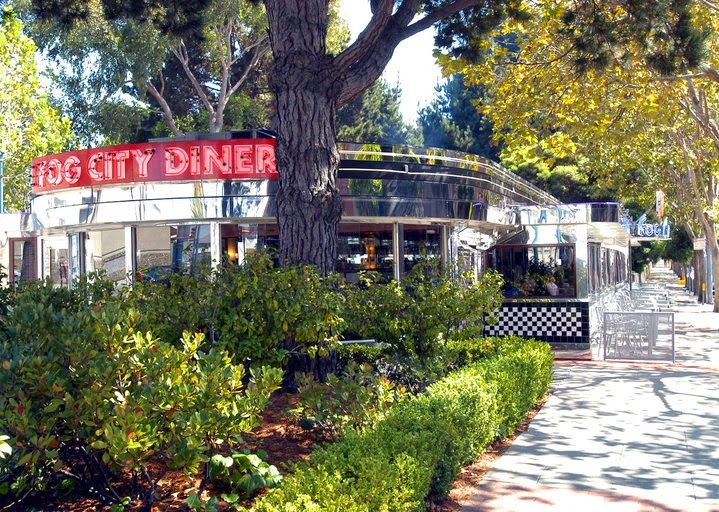 Alice Walters is considered to be the "Mother of California Cuisine" by all in the restaurant industry. 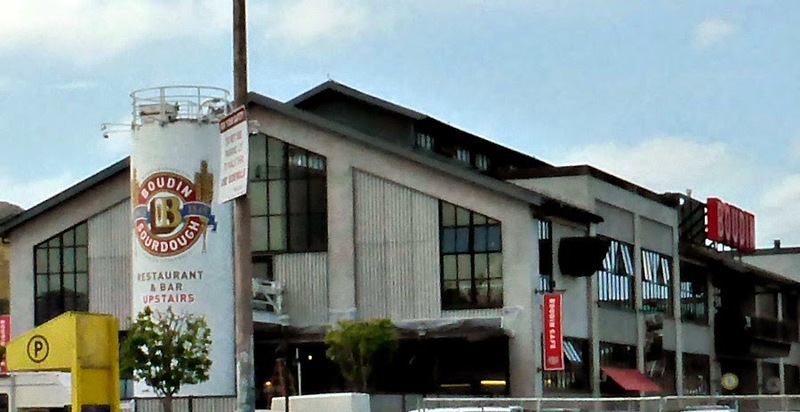 We booked a table months in advance and then decided to use public transportation (tram car then the BART) to get from our hotel in the Marina District to the restaurant in Berkeley. We were told the trip would take an hour - it took an hour and a half so we arrived late for our reservation. And, as it was before the age of the cell phone, we could not call them. The way the restaurant works it that everyone coming for dinner that evening is seated and served at the same time. So, when we arrived, we found everyone seated and and waiting for us to start dinner. "Oh" the maitre d' said, "we knew you would be here". Wow! A class act. Another legend in the restaurant industry. Don't you love the name? 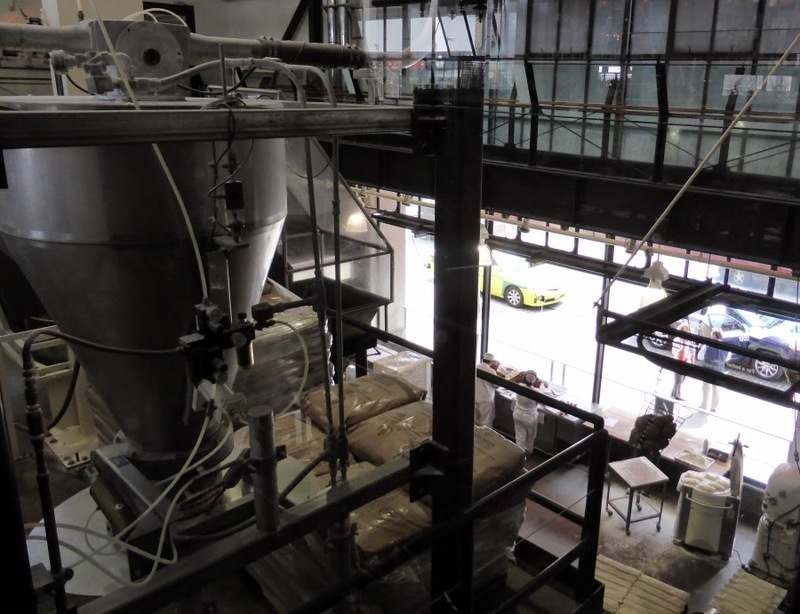 From a tiny, old-world bakery on San Francisco's Dupont Street, Boudin has evolved to the state-of-the-art facility you see above - and is San Francisco's oldest continuously running company. In 1849, the Boudin family struck culinary gold. 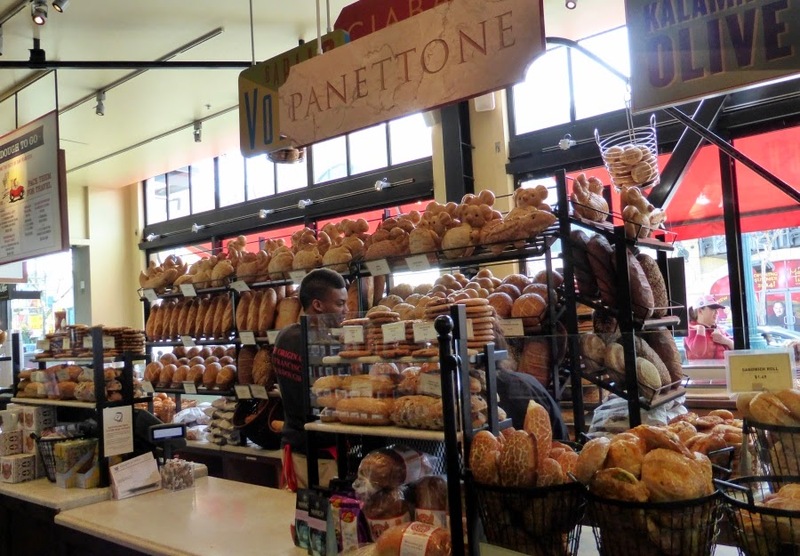 They discovered that the wild yeasts in the San Francisco air imparted a unique tang to their traditional French bread, giving rise to “San Francisco sourdough French bread.” Today, the Boudin family's initial recipe lives on in the hands and hearts of their expert bakers, with a portion of the original mother dough still starting each and every sourdough loaf they make. A trolley, how San Francisco is that!? 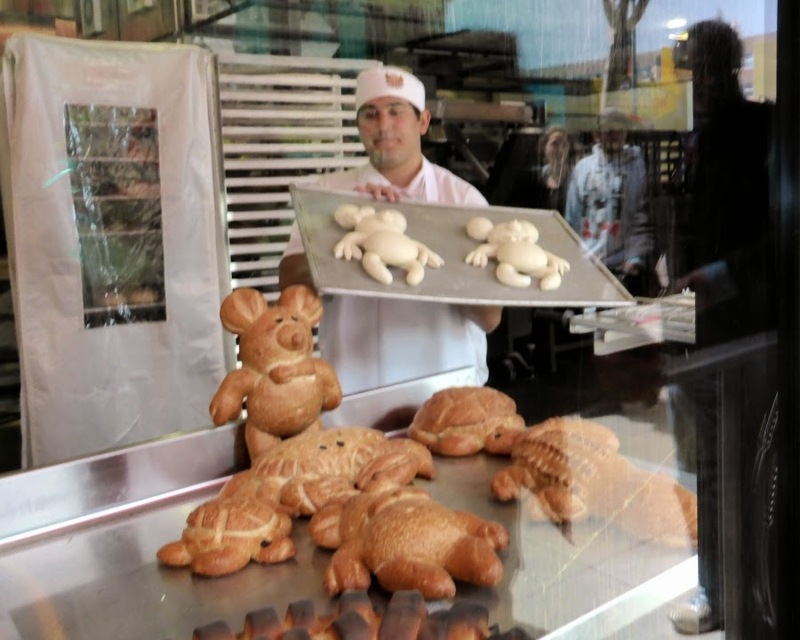 Also upstairs is a museum that tells the history of the bakery and a bistro that serves a full dining menu. Downstairs there is a casual cafe and patio where you can sit after ordering and picking up your food at a service counter. And a shop where you can purchase many food related gadgets, books, etc. I had my favourite, homemade tomato soup, and Arch ordered the clam chowder and a half roast beef sandwich. 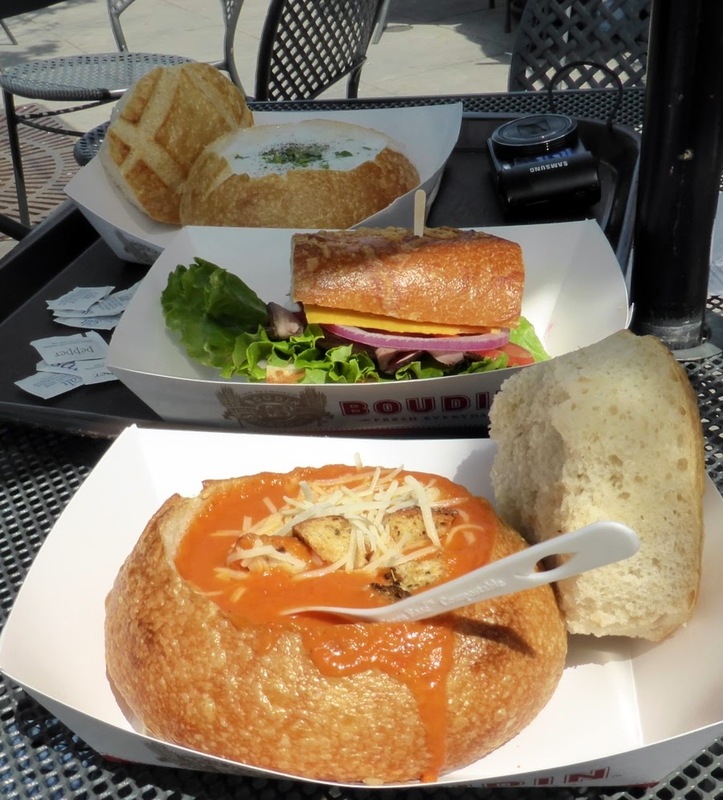 The soups were served in a bread bowl - of course! It was a lot of food and I ended up carting Arch's sandwich around in my purse for the rest of the day. He had it for lunch the next day. I love homemade tomato soup so here is an easy recipe for it. Heat the oil in a large stockpot over medium heat. Add the onions, carrots, fennel, and garlic and cook over medium-low heat for 10 minutes, until tender. Add the bread cubes and cook for 5 more minutes. Place the tomatoes in the bowl of a food processor fitted with the steel blade and process just until coarsely chopped. Add the tomatoes to the pot along with the stock, red wine, basil, 1 tablespoon salt, and 1 1/2 teaspoons pepper. Bring to a boil, lower the heat, and allow to simmer, partially covered, for 45 minutes. Remove from the heat and beat the soup with a wire whisk until the bread is broken up. Stir in the Parmesan and adjust salt and pepper to taste. Serve hot sprinkled with toasted sourdough bread croutons and chopped fresh basil. If feeling ambitious, you could buy some small round loaves of sourdough bread to serve the soup in. The restaurant in Berkeley reminds of Hell's Backbone Kitchen in Boulder Utah near Capital Reef NP.